"A film about the foster children program in British Columbia that shows how agencies -- among them the provincial Department of Human Resources -- find suitable homes or temporary care for youngsters who, for whatever reason, find themselves without their natural parents. Problems do arise, but in the situations shown, the film dispels many of the stereotyped views of children's aid, social workers, foster homes, and parents who give up their children for adoption." National Film Board of Canada. "NFB -- Bye Bye Blues." National Film Board of Canada. 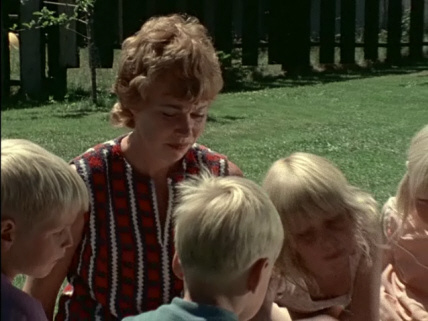 http://onf-nfb.gc.ca/en/our-collection/?idfilm=11474.